Fall is finally here! That means sweater weather, bonfires, and warm apple cider. It is a real-life example that change can beautiful, and colorful – just like your hair! 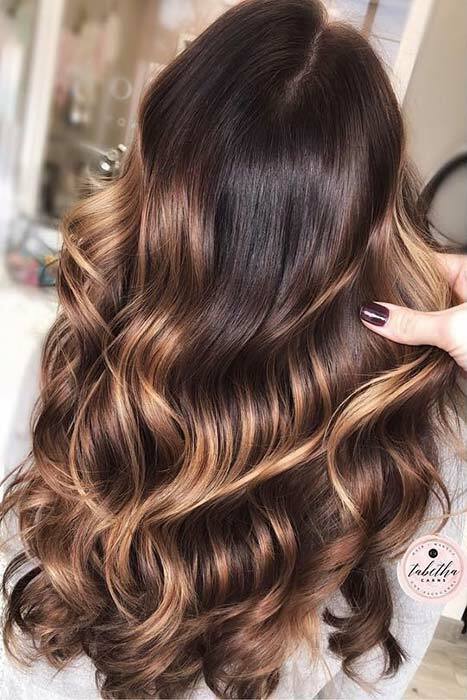 If you have been thinking about getting a balayage or an ombre, this fall is the perfect time to say hello to those warm reds, browns, and violets. Not sure where to begin, we put together a small list of styles that we think are going to be a staple this fall. A red that is not too red and it has hints of blonde and orange. It is a perfect combination for someone who has been wanting to get that warm color but still wants to look super trendy. Ombre style hair has been a staple these past couple of years and this fall it will continue to turn heads. Don’t believe us? 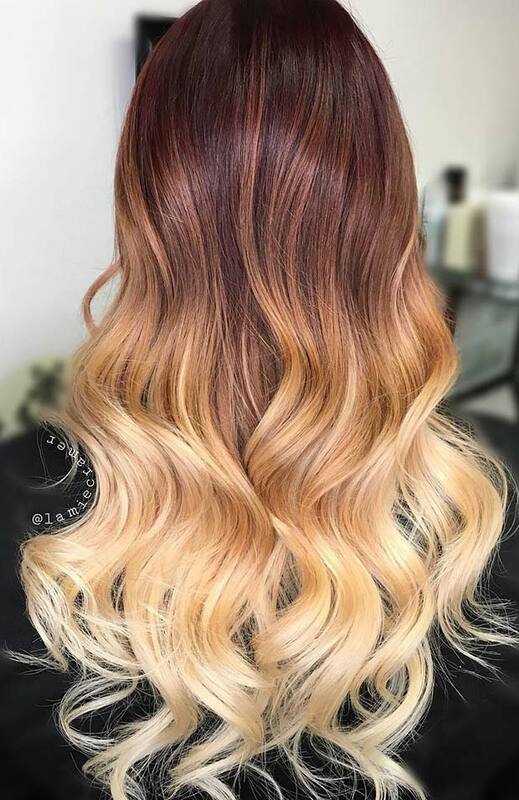 Try out this beautiful red to blonde ombre. It’ll be a subtle, yet beautiful transition. 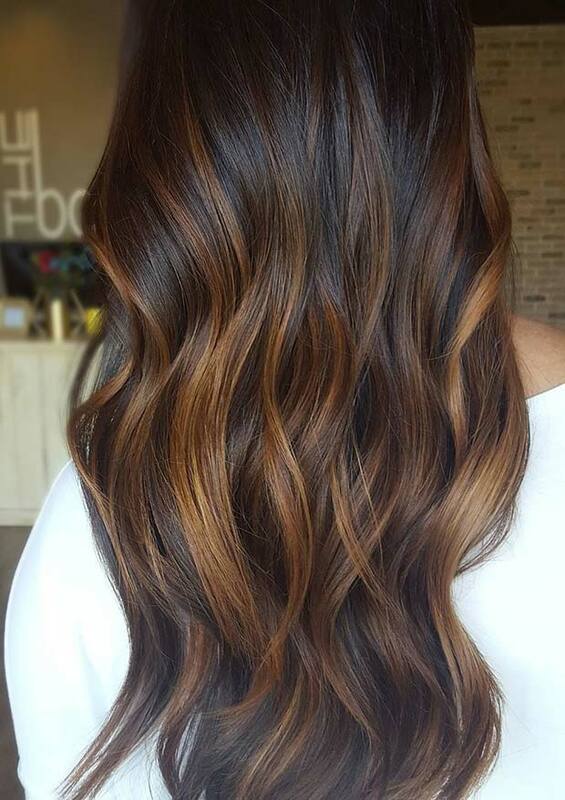 A fall balayage is a perfect go-to for women with dark brown hair. The dark hair stands out with the light brown and almost blonde strands that we strategically place. It is a simple and subtle style, but one that gives a lot of dimension. Perfect for fall. Color melts have become increasingly popular – it is when the hair is delicately and seamlessly melted together. A fall colormelt can be played with different colors. It can go from a darker violet to a light blonde or an auburn to a light brown, and so on and so forth. You can get really creative with it. Plus, it is a great option for those who want to get creative, but also want to play it on the safe side. Some might consider this a bold color, but if blended well it really is a stunning look. 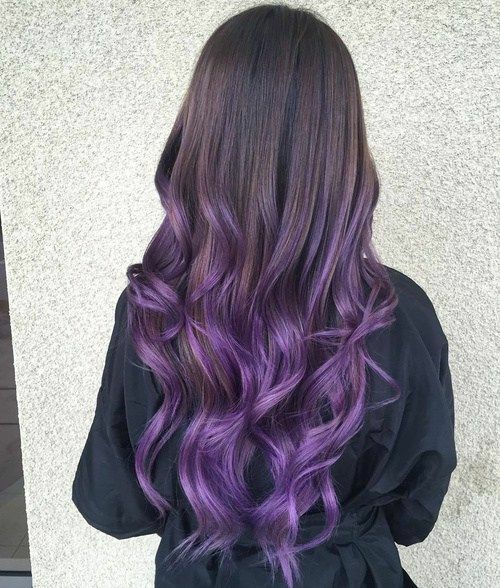 This is perfect for fall, and the purple with the darker hair color works great together. So, what do you guys think? Here at Harbour Club Day Spa and Salon, we are color and hair experts. If you felt like any of these hairstyles spoke to you, go ahead and set up a consultation appointment. We can work with different hair colors and find which style works best for you and get you fall-ready. Follow the link and we will go ahead and get you set-up! This entry was posted in Salon and tagged Fall hair, Fall hair color, Fall hairstyles, popular fall hair color. Bookmark the permalink.